This Italian Fried Rice Recipe is the perfect time saving weeknight meal that will please your whole family. Leftover rice is cooked up with al fresco sweet Italian chicken sausage, veggies, and a splash of wine to create a simple family favorite. 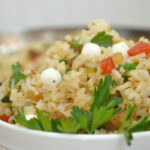 The Italian style rice is a fun take on your traditional fried rice recipe. 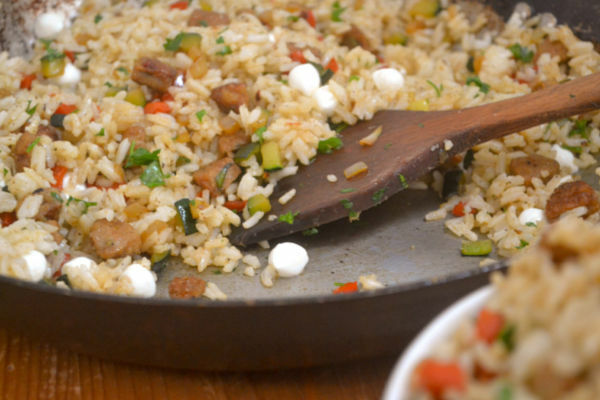 Using al fresco sweet Italian chicken sausage in this Italian Fried Rice recipe brings tons of flavor. Confession time: I hate dinner time. Like I really, really do not like it. I love the ability to bond as a family and hang out together. But the whole, “rush around the house like a chicken with your head cut off while hungry kids whine like you haven’t fed them ever” is just the worst. I love really easy things like minestrone soup or simple spaghetti squash pizza casserole. On the other hand, Alex is NOT a fan of that kind of meal. 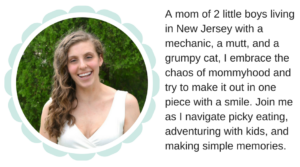 As a work at home mom, I value any time I can save. I use Amazon Prime for literally anything and everything. When necessary, I spend an extra dollar or two and grab house basics at the grocery store instead of making a second trip. There are days when I feel like I never stop. Wake up, Ry to school, grocery shopping, pick up Ryan. Calls, keep the kids from killing each other, clean up the house. And then before I even realize it Alex is walking through the door at 5 asking what’s for dinner. Well, I have no idea. I thought it was still 1 pm. Thankfully, I have a few different meals I can throw together in 30 minutes or less on the blog. My favorite hidden veggie pesto sauce, Mexican fried rice, boxed mac and cheese are all popular on the blog. 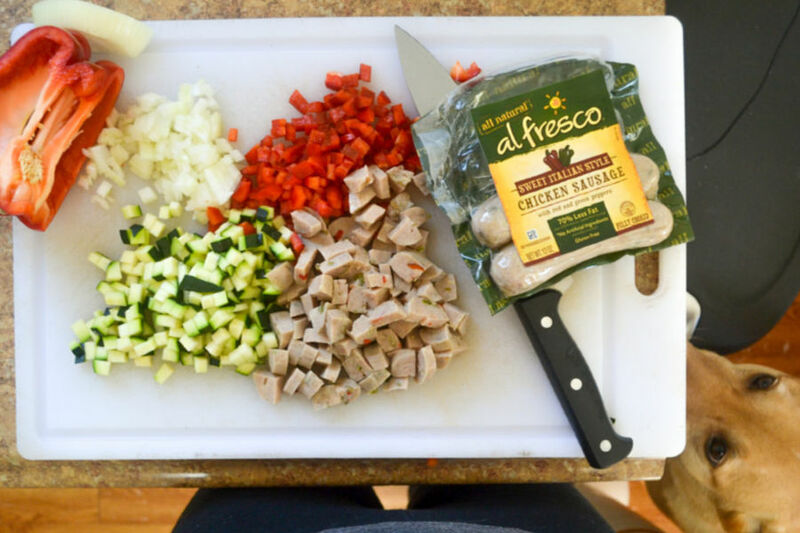 Chop all of the Italian Fried Rice ingredients, including the al fresco chicken sausage, ahead of time to cut down on time. We recently discovered al fresco chicken sausages. I was combing through the aisles of my grocery store to find ways to make quick weeknight dinners. When I found that the sausages are actually packed precooked, I was pleasantly surprised. Hello, time saver! I will admit. Precooked sausage is a little weird sounding. But I promise they’re delicious. I actually couldn’t resist snagging bites when I was cutting them up! I used al fresco Sweet Italian Chicken Sausages to make this Italian fried rice recipe and they were perfect. Al fresco chicken sausage recipes are my new favorite for simple meals. The pieces crisped up wonderfully and I actually think I prefer them to the fresh sausages our grocery store sells. No worrying about making sure they’re cooked through and one less thing to worry about on a stressful night. 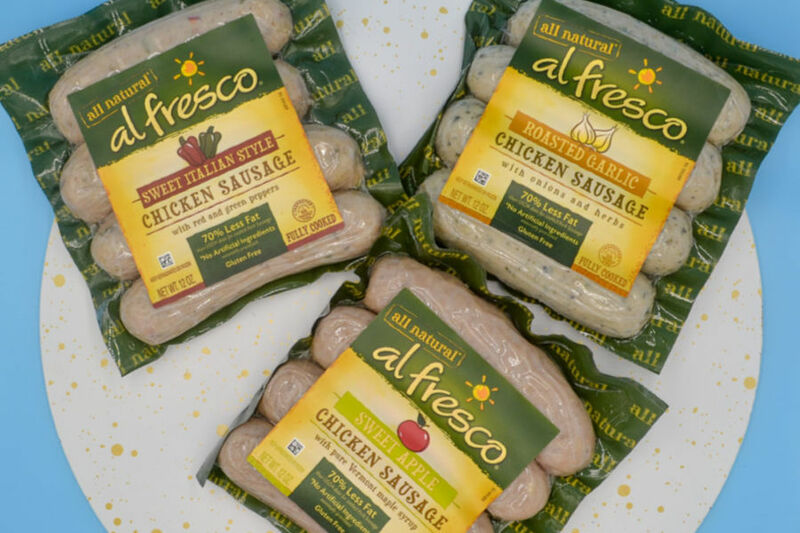 al fresco sausages come in a ton of great flavors. When I was shopping I grabbed the Sweet Apple, Sweet Italian, and Roasted Garlic. Next time, I’m definitely trying the Spinach and Feta and Roasted Pepper and Asiago. On their site they have a ton of products. Everything from fully cooked breakfast sausages and meatballs to fresh chicken sausage and chicken patties. Add in the mini mozzarella balls right before serving the Italian Fried Rice recipe in order to not make a mess. Make your rice ahead of time. Not only does this save time, but using older rice for fried rice ensures that you don’t get soggy rice. Use al fresco sweet Italian chicken sausage. These sausages are fully cooked, so there is no need to make sure they are cooked through. Just crisp them up and go. Chop ahead of time. Meal prepping isn’t my forte, at all. But chopping your veggies ahead of time will mean you can get this meal on the table in 15 minutes or less. Seriously. If you’re not a fan of a stinky fridge (I feel you) then just chop the sausage, pepper, and zucchini. Leave the onion and garlic for the day of. If your kids will not be happy seeing the zucchini, try peeling the zucchini before dicing it. You could also use a yellow squash. Rice cauliflower is also a great hidden veggie option! This Italian style rice comes together in less than 15 minutes if you make your rice ahead of time. This makes it perfect for any night that you feel frazzled. You can change out the veggies as you please. But, I liked that the zucchini blended in well so my kids and husband didn’t even get bothered by it. Peel off the green or use a yellow squash if your kids will balk at it. Substituting roasted red pepper or sun dried tomatoes for the fresh bell pepper would be awesome. Add a sprinkle of fresh Parmesan cheese before serving your Italian Fried Rice with al fresco sweet Italian chicken sausage. Want to sneak in more veggies? Use a food chopper to have your kids help your cut up the veggies. Another great thing is having them stir in the cheese at the end (with close supervision if on the stove). Lastly, get them interested in fresh herbs by having them pick the leaves off the stems. This Italian Fried Rice is the perfect time saving weeknight meal that will please your whole family. Leftover rice is cooked up with sweet Italian chicken sausage, veggies, and a splash of wine to create a simple family favorite. 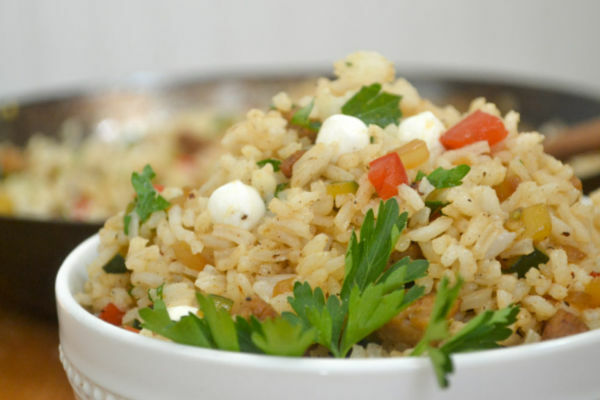 The Italian style rice is a fun take on your traditional fried rice recipe. Over medium high heat, add 2 tablespoons of the olive oil and the chopped al fresco chicken sausage. Cook about 2-3 minutes to crisp up. Add the pepper, zucchini, and onion. Cook another 2-3 minutes or until the onion is translucent. Add garlic and saute for 30 seconds to a minute or until fragrant. Deglaze with the red wine, cooking 3 minutes until cooked down a bit. Lower the heat if necessary. Rice options – you can use white or brown rice or use a combo of rice and quinoa or riced cauliflower for an extra dose of veggies. If using cauliflower, cook it up in the veggies for a minute or two after you add the garlic. Please use good parmesan. Using good parmesan (usually near the deli section in my local store) is a game changer. Yes, it costs more but you’ll also find yourself using less. If you don’t want to use wine, you can use the same amount of stock with a few tablespoons of balsamic vinegar. It’s not the same but you’ll get a similar taste. You do need the vinegar to add the flavor though. 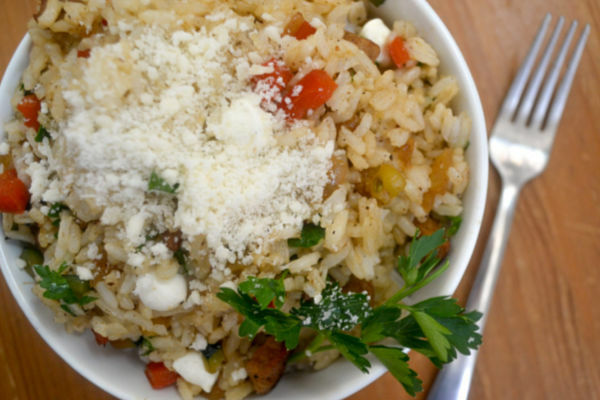 If you plan on keeping leftovers, only add the mozzarella balls to some of the rice. Reheating it on a stove top will be easier that way and they won’t get super melty when you need to reheat. Okay so tell me – do you like dinner time? What’s your favorite quick dinner? Would your family like these al fresco sausages? If you enjoyed this, you may also like..